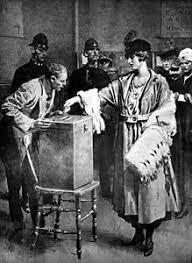 In just over a week, on 14th December 2018 it will be the centenary of the election where some women in Britain and Ireland had the right to vote for the first time in a parliamentary election. Last week in Dublin I saw commemorative posters of Constance Markievicz on almost every lamp-post. 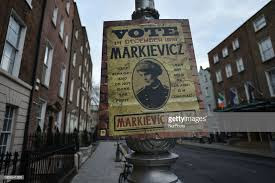 Markievicz was of course the first woman elected to Westminter, though as an Irish Republican she never took up that seat, recognising Dáil Eireann instead. I knew then that I’d have to find something fresh to say about the 1918 election for my upcoming History Girls post. Fresh? How? 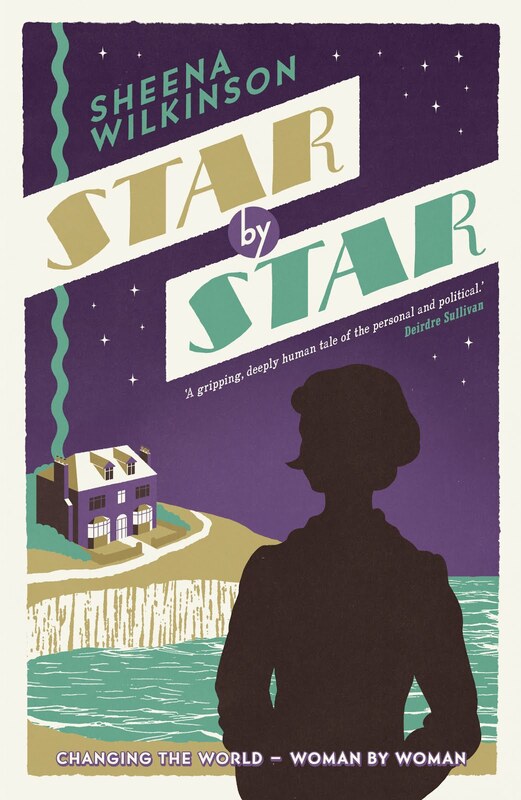 I’ve been living with this date for over two years, since I started writing my 2017 novel Star By Star which focuses on that election. I’ve done suffragist-themed events from Aberdeeen down to London, and from Derry to Kerry. I've written lots of relevant articles and blogs. I’m pretty much electioned-out, especially as during that time I also found myself campaigning in real life during both NI Assembly and UK Westminster elections. So today I’m thinking not of Constance Markiewicz, not even of Winifred Carney, who stood for Sinn Féin in an east Belfast seat she hadn’t a hope of winning, but of an obscure woman in a terraced parlour house in that same East Belfast electoral ward. Fanny Duff was my great-grandmother. I know very little about her. She was, according to my grandmother, her daughter Frances, a gentle and quiet woman. She brought up a large family. She saw her sons off to good skilled shipyard jobs like their father, and one to emigration. Two daughters went into shirt factories, and one died in her teens. Fanny was widowed young, and took in sewing to help provide for the family. She died suddenly in 1936, the day after my grandmother's 28th birthday. Was Fanny eligible to vote in 1918? I assume so. She was over 30, and married to the householder of a respectable three-story terrace house whose rateable value would have been over the necessary £5 threshold. She lived in an area that was then more mixed than it is today, but even so it was a safe unionist seat and Fanny’s family were unionists. The newspapers -- it is most likely the Duffs read The News Letter -- were full of exhortations to vote and instructions on how to do so. I love the idea of her defying family tradition – and possibly her husband, James, and casting her vote for a woman, feminism trumping tribal identity, but that was even less likely in 1918 Belfast than it would be today, and there is no evidence that Fanny was a feminist. Maybe she didn’t vote at all. In December 1918 the flu pandemic was still raging. It affected both the election campaigns and turnout. Fanny may have been nursing one of her children, or have been ill herself. Or she may have been well but reluctant to queue up at a crowded polling station and risk infection. I talked to my own granny a lot about what we both called the olden days. But I never asked about that election day when she was ten years old. I never asked if her mother went to vote or if politics was talked about in the house. There can be nobody alive now who remembers Fanny Duff, who died in 1936. She’s just one more working class woman who may, or may not, have played a part in that historic election. 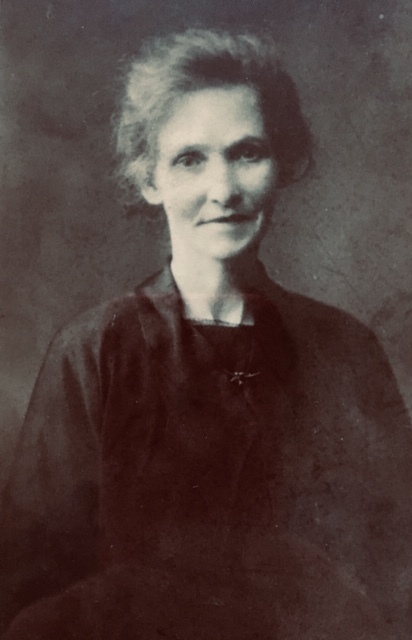 But she was my great-grandmother, and next Friday, on the 14thDecember, I choose to think of her striding proudly down Beechfield Street, perhaps on her husband’s arm, perhaps alone or with a group of neighbours, ready to cast her vote for the first time. She looks like a sweet woman. Such a wonderful story. I shall think she proudly, although somewhat self-consciously, stood in line and cast her vote without question as to whom she supported. Just who that was we shall never know.